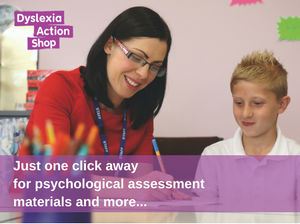 DACPD51 – This Level 4 unit short course provides an introduction to key elements of current research and practice in dyslexia, and conditions that commonly co-occur with it. It aims to provide an understanding of current theories of dyslexia and the impact that dyslexia and co-occurring difficulties have on performance in a range of settings. Be qualified to at least level 3 (‘A’ level) on the UK qualifications framework or have other equivalent qualifications and relevant experience. Teaching assistants must be mentored by a qualified teaching professional whilst on the course. Qualified classroom teachers or teaching or learning assistants and be currently (or recently within the last 2 years) employed to work with learners in the UK or internationally. Qualified learning or adult support tutor and be currently (or recently within the last 2 years) employed to work with learners in a further or higher education educational setting or those working in a support function. Have a minimum English language ability level such as: IELTS 6 or TOEFL 60-78 points. Please note: We reserve the right to request information in support of all applications from a headteacher or other suitably qualified line manager or referee.